Housing advocacy can be a slow and frustrating process. As hard as we work, our efforts sometimes don’t produce the results we intend. Many things beyond our control can get in the way: a change in Congressional leadership, budget crises, or new, hot issues taking the spotlight away from the issues we care about. At the end of a Congress or legislative session, we can find ourselves in the position of having to dust ourselves off and prepare to do it all over again the next year. That’s what makes yesterday’s hearing on the Section 8 Savings Act of 2011 (SESA) so exciting. SESA, a draft bill based on the legislation known as the Section 8 Voucher Reform Act or SEVRA, pumps new life into the years-long effort to reform the Housing Choice Voucher program. The Section 8 programs were enacted by Congress under President Nixon. One program, project-based Section 8, provided contracts to private owners to provide affordable housing in entire properties. The other, now known as the Housing Choice Voucher program, provides tenant-based rental assistance for use in privately-owned apartments that have reasonable rents and meet housing quality standards. In fact, approximately 2 million low income families are currently living in affordable housing in the private market thanks to the Housing Choice Voucher Program. In 2004, the Bush Administration significantly weakened the program. This led NLIHC to hold a summit on vouchers the following year, with voucher participants, advocates, federal representatives, finance agency representatives, and housing developers all in attendance. Various versions of the original voucher reform proposal were introduced, and in March of 2007, NLIHC President and CEO Sheila Crowley testified before Congress to advocate for sustaining the Housing Choice Voucher program and to push for rights and benefits to improve the quality of life for Section 8 tenants. Though the bill stalled many times, Representative Maxine Waters (D-CA) resurrected it in 2009, at which point NLIHC again sat before Congress in support of the bill amidst a great deal of circulation, drafting, and discussion. Senior Vice President for Policy Linda Couch testified to the urgency of enacting the measures of the bill that would strengthen the program and lead to more housing vouchers, while avoiding aspects of the bill that would be harmful to the program and the people it assists. And now, SESA brings the possibility of beneficial Section 8 reforms back into focus. The progress of this bill is a testament to the value of consistently working with Members of Congress to show the value of HUD’s programs. 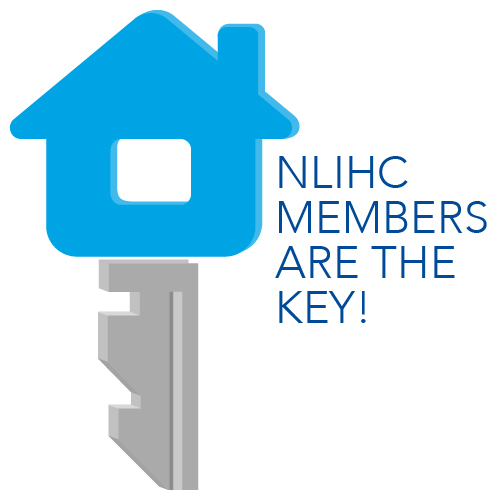 NLIHC members and supporters have advocated continually for well-designed reforms to the voucher program, some of which, like rent simplifications, will apply to the public housing and project-based Section 8 programs as well. In addition to the work of the Coalition, countless other advocates and organizations have been working so hard for so long in order to get to the place we are now. SESA comes at the right time, not only because the last major reform to housing vouchers was in 1998, but also because our nation’s economic decline increases the difficulty that low income families face affording safe and decent housing. Giving public housing agencies the opportunity to serve more extremely low income people, while ensuring vouchers and public housing programs are carefully evaluated and well-managed, would bring us steps closer to the goal of ending homelessness in the United States once and for all.